Mackle petfoods are delighted to announce the latest range from our brand Naturo has launched into over 300 UK Tesco stores this autumn. We are increasing our footprint in the UK natural petfood market with the launch of our new premium range, Chef’s Selection, into over 300 UK Tesco stores this autumn. Naturo is already available in 900 Tesco stores in the UK and Ireland, this new product launch will further enhance our reputation as a leading supplier of natural petfoods, to support specific dietary requirements. Chef’s Selection was developed in response to feedback from pet owners who want to give natural pet foods to their dogs; in particular where dogs have allergies, digestion and skin issues, or other medical conditions. Sales Manager at Mackle Petfoods, Colin Ferguson said, “We are constantly listening to our customers – our grain free products for example were developed in response to customer feedback about dogs with digestive issues and skin allergies. 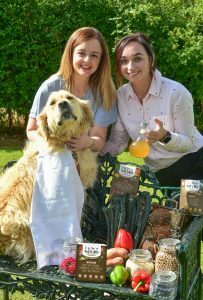 Company owner, John Mackle is plugged into market trends and works with the New Product Development Team to take innovative concepts like the use of cider vinegar and see how they be incorporated into products to deliver health advantages to pets. We’ve also developed a special Christmas dinner for dogs this year containing Turkey and Cranberry, so pets can take part in the festive season without the risk of upsetting their systems. Proud to make this our latest commercial announcement, we have already this year increased the presence of our Naturo natural petfood range in a number of GB retailers. In 2017 we invested £3million in our manufacturing facility in Moy, N. Ireland which has enabled us to more than double production of the healthy pet range, Naturo.